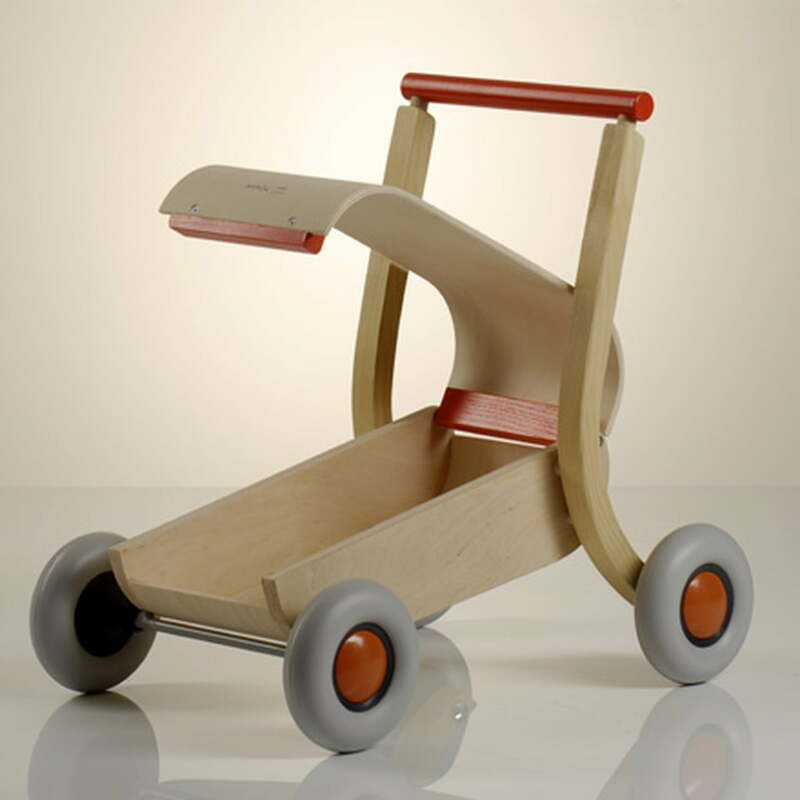 Schorsch is an ideal playing and learning vehicle for toddlers in the "learning to walk" age. 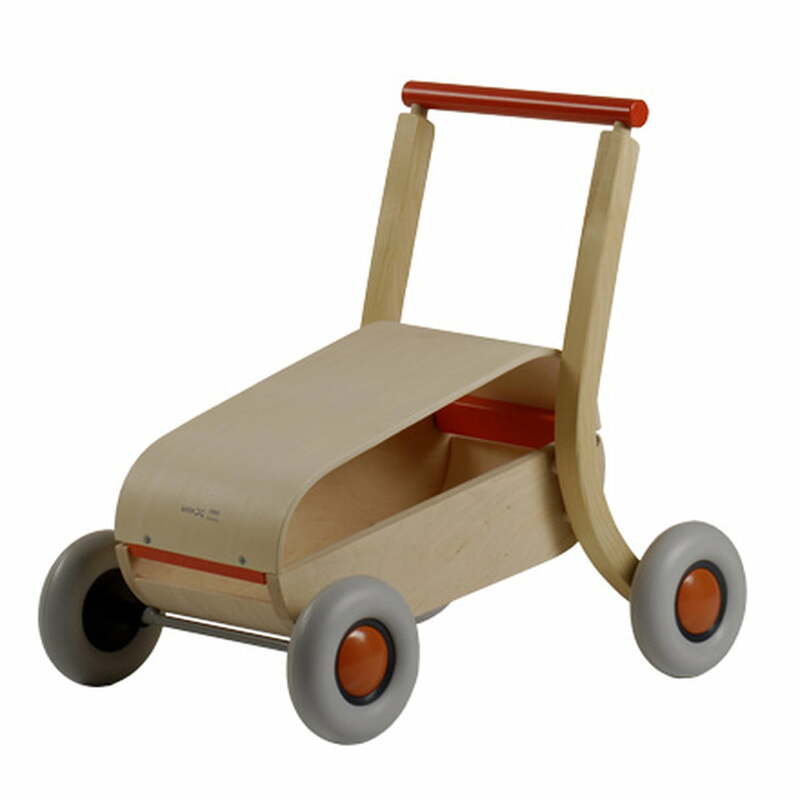 Thanks to its clever worked static, Schorsch is tilt and slip safe and furthermore it has especially floor protecting, lockable, solid rubber coated, plastic wheels that slide over any surface in an almost silent way. 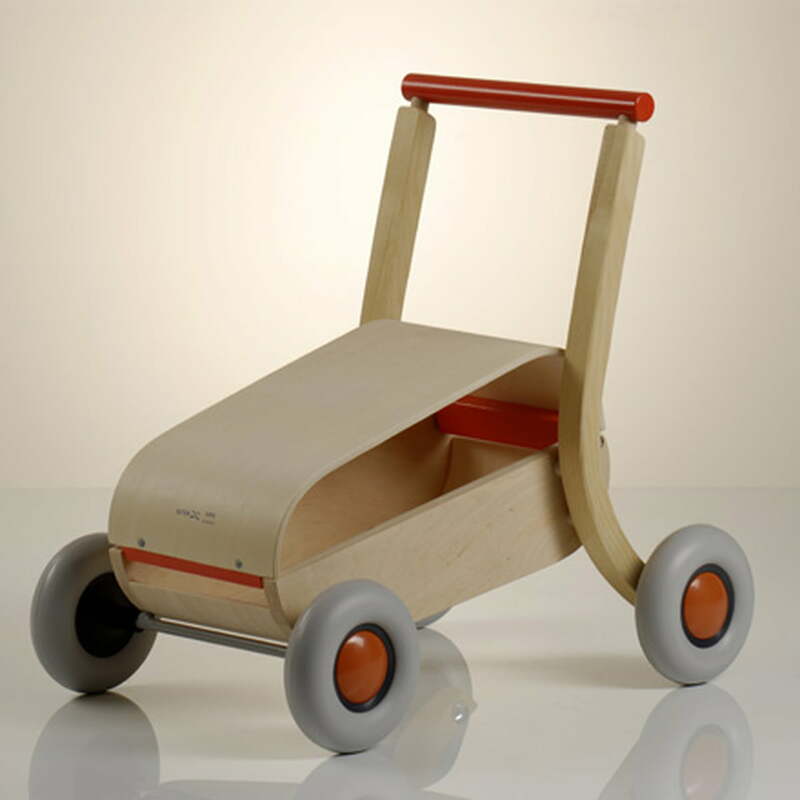 Being more than just a tool to learn walking, Schorsch also is a shopping cart and doll's pram as well as a wheelbarrow with a fold-up lid. 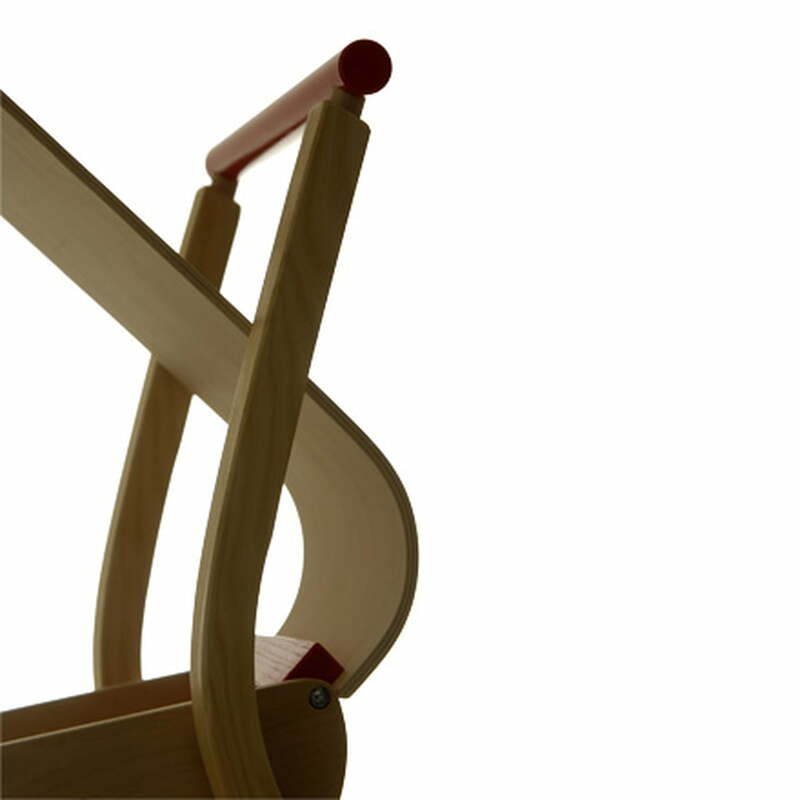 Under Schorsch's lid – which is a little bit opened at the front to avoid pinching fingers – there is room for many toys. 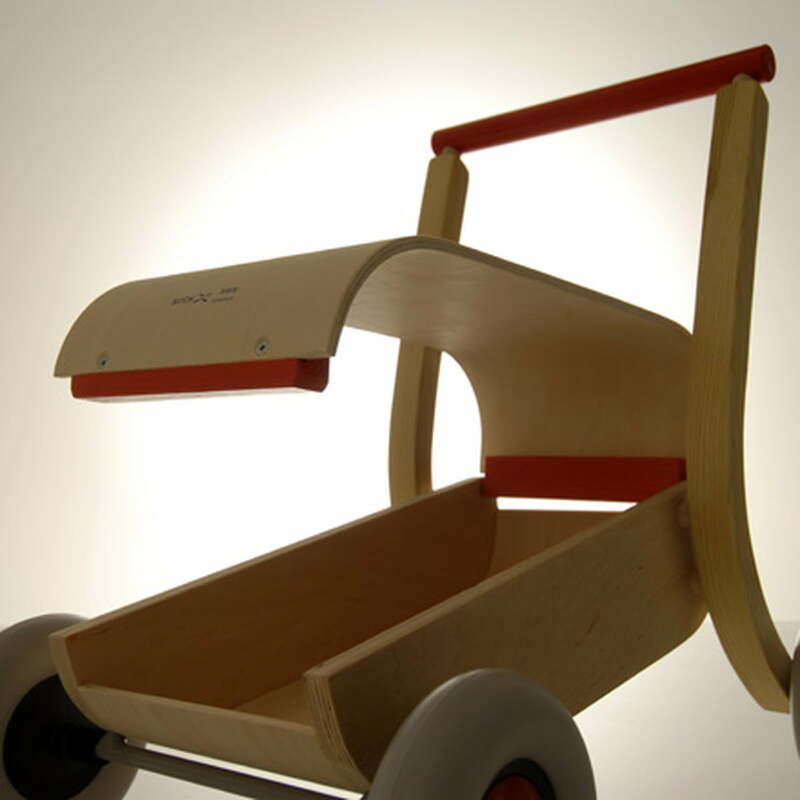 The whole body of Schorsch is made of form-glued birch plywood.